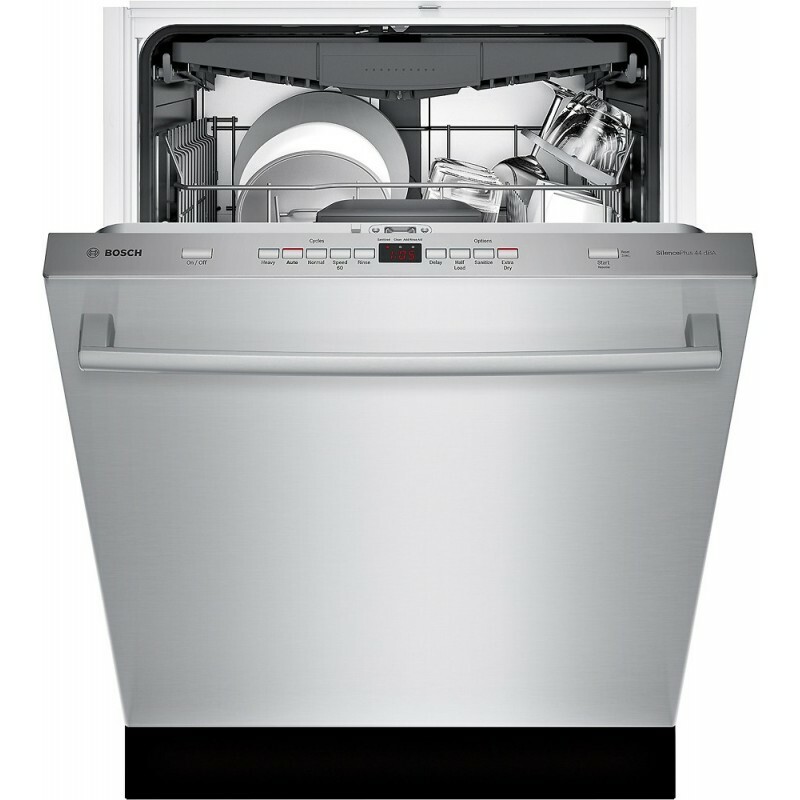 You'll have more than enough time to enjoy the things you love instead of hand washing and drying dishes, when you use the Bosch SHXM63W55N Stainless Steel 24" 300 Series 44 dBA Built-In Dishwasher. 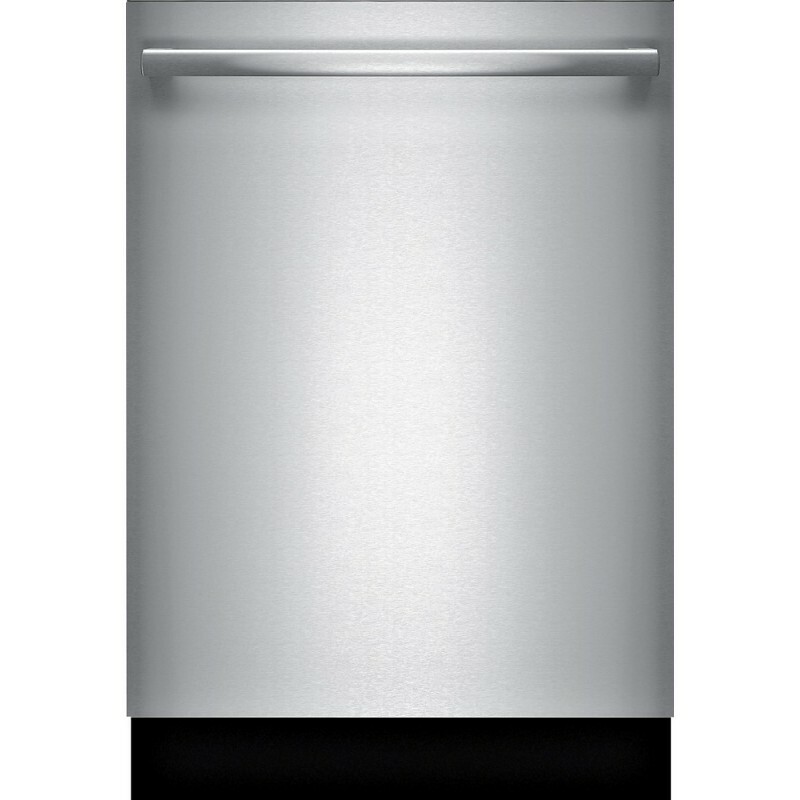 This ENERGY STAR® certified dishwasher was designed with flexibility in mind, thanks to a third rack that gives you 30% more loading space. FlexSpace™ Tines fold back to make room for large pots and pans while the RackMatic® feature gives you 9 possible rack positions. Plus, the Speed60® gets your dishes ready to use from being dirty in just one hour. 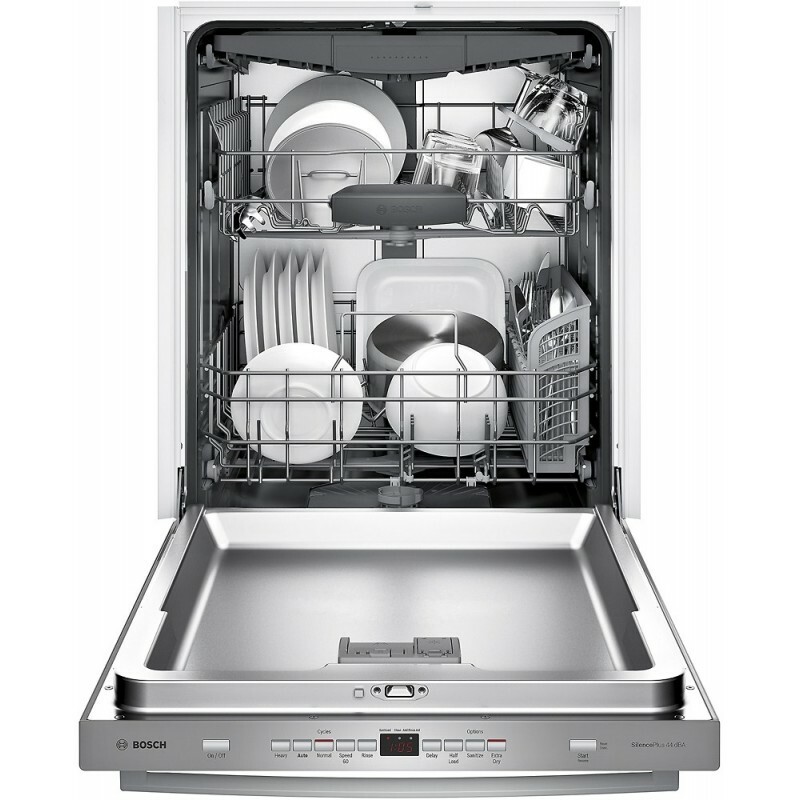 The Bosch SHXM63W55N Stainless Steel 24" 300 Series 44 dBA Built-In Dishwasher lets you fit up to 16 place settings. 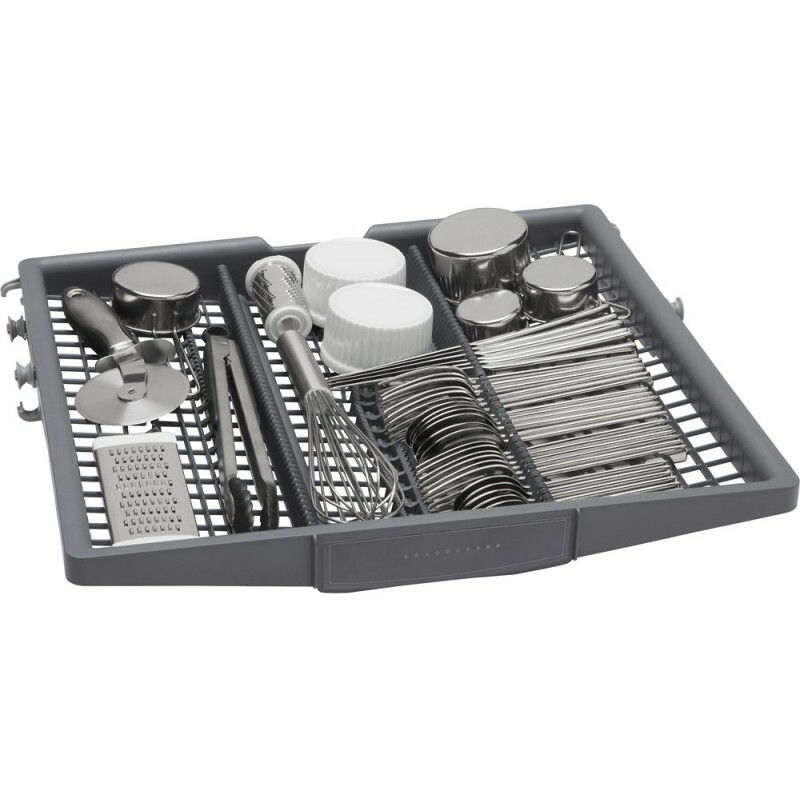 A third rack gives you 30% more loading space for extra silverware and utensils. FlexSpace™ Tines fold back to fit your larger pots and pans. Plus, the RackMatic® feature offers 3 height levels for up to 9 rack positions. The Speed60® cycle gets your dishes from dirty to clean and dry in just an hour. Plus, the Sanitize option gets rid of unwanted bacteria and enhances drying results. The 24 Hour Delay Start Timer lets you run your dishwasher at off-peak times. AquaStop® leak protection works around-the-clock to help prevent water leaks and damage. 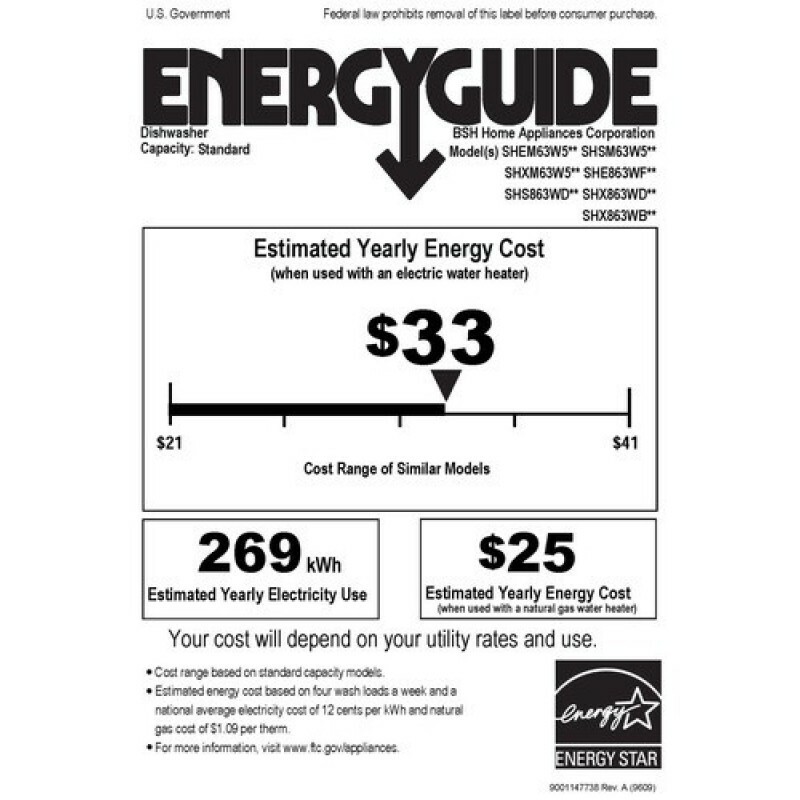 Plus, the InfoLight® shines on the floor so you'll always know when the dishwasher's running. 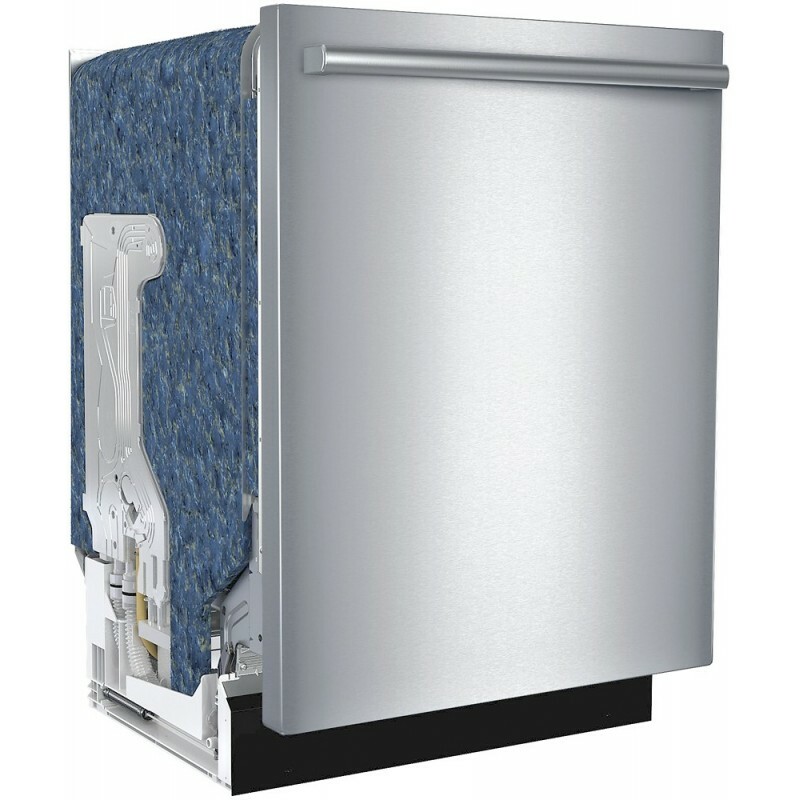 This dishwasher runs at a quiet 44 dBAs, so you can wash dishes without having to put in earplugs. It's no wonder Bosch is the quietest dishwasher brand in the U.S.